Ages 12-14 years. 6th through 8th grades. Having developed the essential skills of concentration and laid the necessary academic foundation in their Montessori and Pre-Grammar studies, coupled with the spiritual formation of the Catechesis of the Good Shepherd, the children of the Grammar School continue in their rigorous pursuit of Truth in the Classical tradition. As is fitting, the children begin their morning with the prayers of the Church by praying together the Morning Office. This class reads copious amounts of Latin from a textbook enjoyed for generations, Using Latin. These stories form a solid introduction to Greek mythology and Roman history. The stories are both interesting and profound. The students memorize enough grammar during this year for it to qualify as half a year of high school Latin. 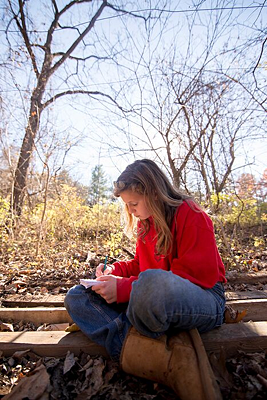 The Language Arts program encompasses reading, writing, English grammar, and spelling. For Writing we use the Anthony Pudewa Institute for Excellence in Writing curriculum, specifically IEW Teaching the Classics and IEW Structure and Style. In addition to IEW, the Grammar class learns to write various types of essays, such as persuasive, compare and contrast, or descriptive essays, in order to prepare the student for high school. For English Grammar we use English Grammar 100, a text written by Dr. Alice Rice for the express purpose of helping students develop a working knowledge of our language. Spelling is addressed using the IEW Phonetic Zoo program, which has the students memorize jingles and spell words aurally, applying the spelling rules to the words they hear. All writing is completed in cursive, with guidance from the teacher as needed. For new students not proficient in cursive handwriting, a handwriting book will be provided for them to work through at home. For Mathematics we use the Singapore series of math books as the main facet of this course. Each day we begin with math class, so that the teacher is present to answer any questions and address any difficulties that may arise from the new lessons. The students are sent home with any unfinished problems from the lesson as homework. Typically, 4 lessons are covered every week, depending on the difficulty of the material, and the facility with which the students grasp new concepts. The History program is a three-year cycle drawn from the book Christ the King, Lord of History by Anne Carroll. Each year the children study one of three main areas of world history: Ancient & Classical History (Creation to the Birth of Jesus Christ and the early Christian Church), Medieval History (The Fall of the Roman Empire to the Crusades), and Modern History (The Renaissance to the Foundations of America). For Science the Grammar class uses the Apologia Science book, again applying a three-year cycle: Astronomy and Geology, Physics and Mechanics, and Biology. 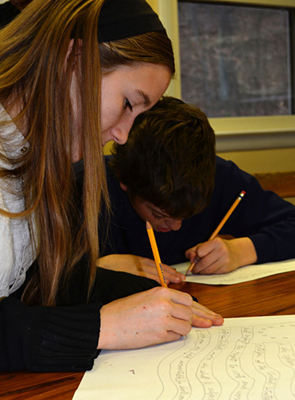 The Catechesis of the Good Shepherd program is both part of and central to the Grammar School’s overall curriculum. In the Grammar School, we further employ the Baltimore Catechism and the Bible as additional texts in the facilitation of catechetical formation. The students are assigned passages from the Bible to read and/or copy, as well as delving into the truths of our faith outlined in the Baltimore Catechism. In addition to readings from these two sources, we have round table discussions on topics introduced by either the students or the teacher. 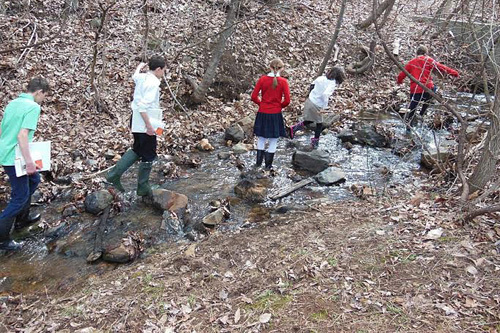 All students participate in a variety of age-appropriate subjects in the areas of Fine Arts and Practical Arts. These subjects change and rotate on an annual basis and are taught by professional trade and crafts people. Please see the Enrichment page. Assessment in the areas of Reading, Writing and Mathematics will be conducted prior to the start of the school year for any newly enrolling students. To schedule a visit to the school or to ask further questions please contact us.